Do you remember the Mamas and the Papas? I was listening to them on the radio today, and now I want to go home and find my love beads. I’m feeling nostalgic today. My favorite Mamas and Papas' song is “Monday, Monday.” That’s because, unlike the rest of the world, I look forward to Monday mornings. I’m sitting in one of the most wonderful places in the world. I have discovered wireless Internet at our local Panera Bread coffee shop. The pastries are tasty, as well as fattening, the people who work here are friendly, and there is an electrical outlet for my computer right by the self-serve soda machine. I’m currently nibbling on a scone, and drinking my second cup of Diet Coke. I’ve died and gone to heaven. As a weekend alternative nurse, I love Monday mornings. I’m sure if one of the other Panera customers were reading my mind right now, they’d come over and kick me in the shins, but please remember that I’m beginning my first day of freedom after being cooped up on a locked psych ward for two days, working short of staff. I see blurry-eyed people ordering coffee-to-go before they make their way to work. A huge number of people in our town commute by car everyday into Washington, D.C., on what’s called the Beltway. People sit in their cars for hours everyday to go to jobs that they hate. It’s crazy. 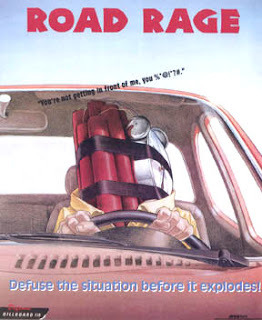 Road rage is a very popular pastime in our part of the country. This nurse took the Beltway and she’s now at work. What a good nurse. She is an angel of mercy, caring for a fallen soldier. She’s taking his pulse and he’s asking her out on a date. Some things never change. I hope she keeps the conversation light. If she doesn’t, she could get herself into a lot of trouble. One of my friends won’t be going into DC anymore. She’s a nurse, and she was forced out of her job because she asked a pertinent question about the war in Iraq while she was at work. She worked at a military hospital, and asked a forbidden question behind closed doors away from the patients and their family members. She asked a group of military nurses why the Pentagon does not count the patients that die in the hospital as casualties of the Iraqi war. The numbers we hear in the media only include those who were killed on the battlefield, and not those who died in hospital beds as a result of their injuries. My friend is a civilian, and her question was not well received. She was summoned by her boss at the end of her shift, and she was basically asked if she was Un-American. The writing was on the wall and she eventually was asked to resign. She won’t have trouble finding a new job. General William Sherman said, "War is hell." The man knew what he was talking about. I try to keep my blog political-free, but that’s not happening today. I’m guess I’m just an old hippie with a lot to say. Now, where did I put those love beads? Good Lord. Such unfairness. I suppose it's the height of American-ness to get soldiers out there, get them shot and stoned and bludgeoned and blown up, and then chuck them into hospital and tell everyone to hush when they die. Reminds me of Prison Break, where one of the inmates was dismissed from his jpb as a soldier for whistle-blowing on prisoner mistreatment. 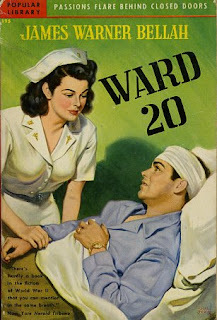 I had no idea even innocent nurses were suffering from the political fallout. On a lighter note, thanks for the comment over at mine! NurseQuack was sent to me by HospitalPhoenix. He's got a few more spare; you could email him. I could do it for you if you wanted. Alternatively I think there are a few more on eBay. Kudos to your friend for having the guts to ask the tough questions, no matter the cost. They are questions that deserve answers, and I bet the families and friends of such casualties feel the same way. 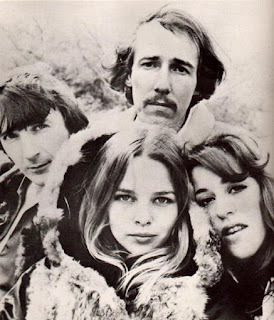 I love that picture of the Mamas and the Papas - Michelle Phillips just has the kind of face made to be photographed. I don't understand how it could be considered un-American to want to inform America that their soldiers are dying? There is a very thought provoking post over at N=1 blog on how war casualties and their families are being treated at Walter Reed Hospital. Made me sick. Monday Monday. I heard a joke once where one woman was commenting on how her Mondays were like Friday since she worked weekends. The other woman sighed and said, I'm a mom, everyday is like Monday. No matter how much I love my kids, that's how I feel most of the time. I don't have any love beads, tambourines or incense, but I do have an acoustic guitar that is no stranger to the music of "The Mommas And The Poppas"
I wish your friend luck. I have found myself in the same situation more than once. Not with comments related to polotics or the war, but with comments I have made questioning the wisdom of various facilities I have worked for as a nurse. The worst place I worked wanted me to do some very unethical things. It came down to chosing between my license or my job. I chose my license. (actually, I chose my conscience) However, justice prevailed. I was hired by the facility where I am currently employed on the same day that I put my notice in at the other place. I didn't miss one second of pay, I received a better wage, better benefits, and the place that I quit went out of business with the owner thrown in jail for fraud. Judging by this post I assume we live in the same state. I also HATE HATE HATE the beltway with a passion. I had an offer to be a pharmacy tech at Walter Reed but I turned it down and canceled the interview. The thought of having to see all those injured soldiers just didn't sit well with me once I thought it over. Nurse Ratched, get out your hippie beads, put on the Mamas and Papas, get on the beltway, and march for peace in Washington. That's where I was a couple of weekends ago! What you have told us is egregious. And...we do all hate the beltway, especially the Springfield mixing bowl. Ha. I am another old hippie, unreformed. I have a sign in the front yard that has been there since the first week of the war that says citizen for peace. I cannot tell you how many times I have had the sign moved or knocked down and for Halloween I got my house egged and a nice yellow ribbon tied around one of the tree limbs with a note saying support American troops. It is not that I do not support the troops I support them by voicing my concern they are over there fighting a civil war with people who wipe their butts with their hands and crap in a hole in the ground! I spent my whole career avoiding the traffic by working weekend shifts and evening or nights. Now I work 8-5 and am stuck in traffic for up to an hour just to go 14 miles! I try not to get upset because what can I do? I listen to the oldies and sing really loud and really bad! what? they can do that? they can ask you to resign just because you ask something? this scares me because i usually ask stupid questions. not because i am anti this or that, usually, just because i am clueless. man, i have to keep my mouth shut. Love your blog - I read it all the time. Hope you don't mind that I quoted the paragraph about your friend losing her job at the "military hospital". It just made me sick and I wanted the folks down here in Charleston to read about what's going on. BTW, there are plenty of nursing jobs down here! No, it is far from Un-American to share the fact that hospital deaths are not included in the Iraqi death toll. I think I will tell everybody I know. It's unbelievable that this can happen. Obviously, the government is a little scared of what may happpen if the American public knows the real casualty numbers and cost to families. Are these people given the same treatment as the others that died overseas? Going around in my head at the moment are the immortal lines by Jack Nicholson; "The truth? You can't handle the truth.." The goverment shouldn't assume.... The way I see it, it's more American to ask questions, than to blindly accept what's been disclosed.. I'm an Australian, but we're in this too. And by the way MJ, my 17yr old daughter adores the Mamas and the Papas; her favourite song is "California Dreamin'". I love them too. Thanks again. I'm glad you're a little political. Thought this was America, land of free speech. Oh well. Money talks and rich people walk, the poor get shafted each time! I sincerely hope that nurse found a MUCH better career than at the hospital from which she got fired for asking a 'pertinent question'. Jeezzz. Anyone watch that movie "Man of the Year"? Robin Williams is SO right on!